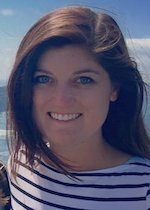 Fridays in the higher education policy world have a little extra meaning thanks to Ellie Bruecker (@elliebruecker), a PhD student in the Department of Education Leadership and Policy Analysis at the University of Wisconsin-Madison. Every Friday, she eagerly awaits Federal Student Aid’s release of the number of high school students who file the FAFSA by state so she can share the results via Twitter. She also works with Nick Hillman at Madison to help share the data via Nick’s great blog. Ellie’s research interests span both K-12 and higher education finance (we need more of this! ), and the FAFSA filing work is a great example. Higher education folks are really just beginning to grapple with questions of resource adequacy that K-12 people have thought about for a long time. She has worked on examining issues of K-12 voucher funding in Wisconsin and school finance as well as how California community college students afford their education. Ellie also participated in AEI’s Education Policy Academy last summer, which helps to expose graduate students to the policymaking process and how to get their work out to decisionmakers. Go, Ellie! Thanks for this great write-up, Dr. Kelchen!